185. 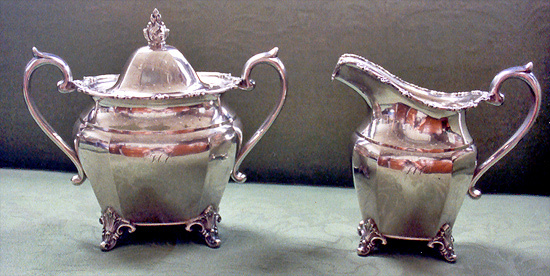 RARE COIN SILVER CREAMER AND SUGAR, SIGNED MITCHELL AND TYLER (RICHMOND, VA.) ALSO HAS THE MARK OF GAYLE & HARDING, NY, NY. CIRCA: 1845. FROM THE EDGEWOOD ESTATE IN AMHERST, VA.